Your vehicle’s transmission is the link between the engine and the wheels, playing a critical role in the performance and safety of your vehicle.. Transmission fluid acts as a cooling agent and protects the transmission by lubricating the internal gears and preventing corrosion and rust. Symptoms of transmission problems include difficulty shifting,grinding gears, slipping out of gear,hesitation, and bucking. Routine and factory scheduled transmission maintenance as indicated by your vehicle’s manufacturer can help prevent transmission problems, but if your vehicle is showing any signs of transmission trouble, contact us the experts at Four County Import Service today. 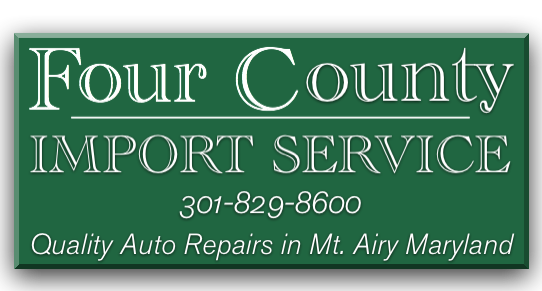 Four County Import Center serves Mount Airy, MD and surrounding areas in Montgomery County, Howard Count, Frederick County, and Carroll County with transmission maintenance and repairs. Give us a call at 301-829-8600 or stop in today!